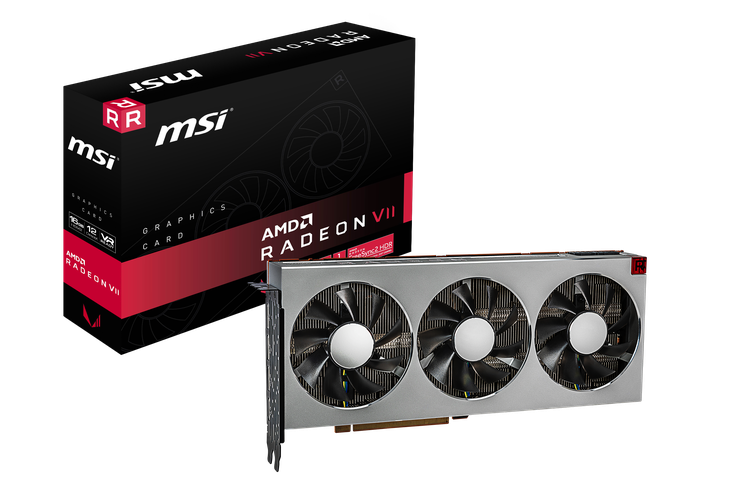 MSI has announced they'll begin selling AMD's Radeon VII later this month. The OEM say their version of AMD's first 7nm video card will be in Australia available from today. “AMD Radeon VII is the highest-performance gaming graphics card we have ever created,” said Scott Herkelman, corporate vice president and general manager, Radeon Technologies Group at AMD. AMD say that the next-generation graphics card offers up to 29% better gaming performance and 39% better content creation performance than the previous Radeon RX Vega 64. Those who pick up the Radeon VII (or any Radeon VII powered PC) sooner rather than later will also get a complimentary copy of Resident Evil 2, Devil May Cry 5 and Tom Clancy’s The Division 2 - which is a nice bonus. As for where to buy it, MSI have a full list of Australian retailer on their site here. You can also find the MSI Radeon VII on the usual suspects like PC Case Gear and Scorptec. The stock-standard AMD Radeon VII is also available via AMD's website direct for $1069.